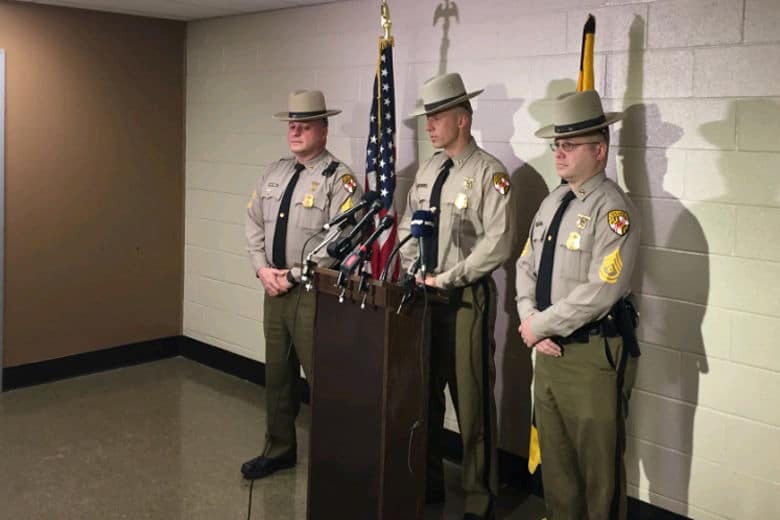 "It appears that children were not restrained properly," Maryland State Police Capt. Daniel Pickett said. WASHINGTON — Five children between the ages of 5 and 15 who are all related are dead after an SUV they were in ran off northbound U.S. 301 into a wooded area, struck several trees, threw the kids from the vehicle and spun around in a snow-covered field Saturday morning. “Every collision we have where lose life is a tragedy. It’s as simple as that. And when children are involved … it’s more of a tragedy,” said Maryland State Police Capt. Daniel Pickett, commander of Washington Metro Troop, the barracks in Montgomery and Prince George’s County. Police say the Bowie crash occurred in the area of Pointer Ridge Drive in Prince George’s County shortly before 5 a.m. Saturday. The five children were in the back seat. “It’s preliminary, but it appears that children were not restrained properly,” Pickett said. After the vehicle struck the trees, Pickett said all five kids were ejected from the vehicle. Two adults — the driver Dominique R. Taylor, 32 of Bowie, Maryland and front seat passenger Cornell D. Simon, 23 of Oxon Hill, Maryland — survived after the 2005 Chrysler Pacifica crashed. The Pacifica was classified as an SUV in 2005 but is now made as a minivan. Taylor and Simon are being treated at the University of Maryland Prince George’s Hospital Center. Simon is in critical condition. Police said the children died at the scene. Two of them are children of the driver. All five are related and are extended family members. Rickelle Ricks, 6, of D.C.
Zion Beard, 14, of D.C.
Damari Herald, 15, of D.C. The crash closed northbound U.S. 301 for roughly six hours as police investigated.